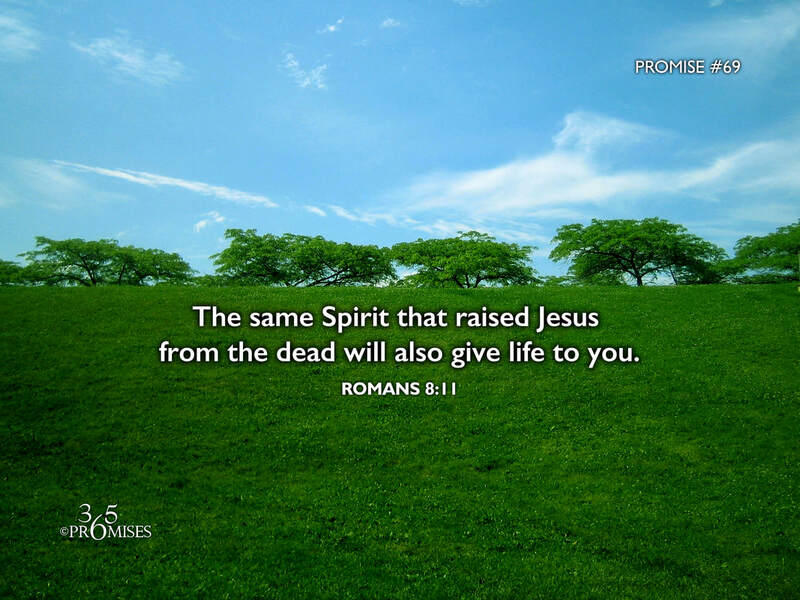 The same Spirit that raised Jesus from the dead will also give life to you. It is amazing to me to think that the very same Spirit that raised Jesus from the dead lives in you and me. Our bodies are not a dwelling place for a small measure of the Spirit's presence, but we host Him in His entirety! The same Spirit of the living God that had so much power that He raised Jesus from the dead is the same Spirit that has chosen to reside in your heart. And it is the same Spirit that will give life to your mortal body just as He gave life to Jesus! The Bible says that we are His temple (1 Corinthians 3:16). The Bible also says that our God and Father sealed us with His promised Holy Spirit as a deposit to guarantee our coming inheritance. (2 Corinthians 5:5) If we try to understand this simple but profound truth in our intellect, we will most likely short circuit because it is too wonderful to comprehend by human standards. That is why we need the Holy Spirit Himself to make this revelation a reality to each one of us. Why not ask Papa God for a deeper revelation of His Holy Spirit today?